The creation of the Hopper One by Yeti was followed by the creation of the Hopper Two. It's your favourite take anywhere, soft cooler, now even better. 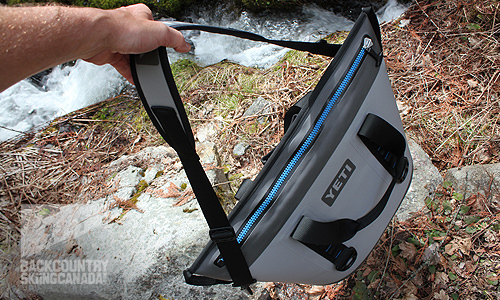 Improved cold retention and further ergonomic design are just a few of the ways Yeti progressed the Hopper for your outdoor adventures. Let’s have a closer look, shall we? 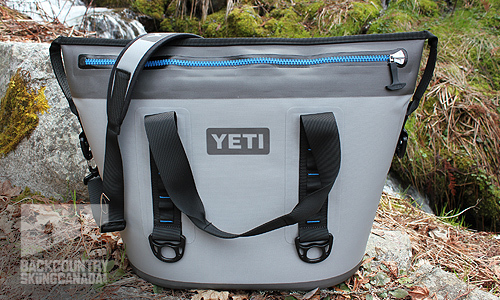 The Yeti Hopper 30 carries 30lbs of ice or 24 cans with a 2:1 can to ice ratio. The tapered handbag design ensures the hopper will stay upright when empty or full. The Hopper Two comes in two colours; grey & tan, and in three sizes, based on how much ice they hold; 20, 30 and 40lbs. This review showcases the grey Hopper Two 30, an extremely durable and 100% leak-proof soft walled cooler, that is tapered like a handbag for optimal use. The Dryhide Shell is made of high-density fabric that is mildew, puncture and UV ray resistant, not to mention 100% waterproof. The ColdCell Insulation is closed-cell rubber foam that will keep ice for days on an FDA approved food safe liner. The Dryhide Shell is made of high-density fabric that is mildew, puncture and UV ray resistant, not to mention 100% waterproof. 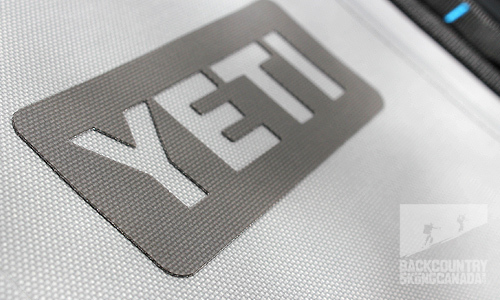 I wouldn’t argue with Yeti when they say the HyrdoLock Zipper is the toughest, highest-performing waterproof and leak-proof cooler zipper in the world. Its seal is absolute and a little extra force is needed to zip and un-zip this extra large zipper. Approach with intent because this cooler is practically childproof. The anchor like, heavy-duty pull-tab is easy to grab with your fist while hand holds at either end assist in opening and closing. The heavy-duty zipper is super strong, so you’ll need the large zipper tab to pull it open and closed. 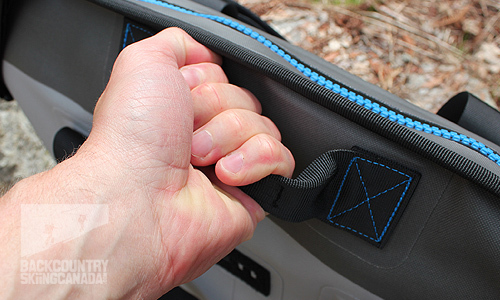 The double stitch reinforced handles are designed to help with hauling, however you want to carry it. The shoulder strap is comfortable and sports anti-slip grip but may also be detached if not needed. A single briefcase style handle allows you to lift the cooler with one hand from the centre, and if the weight is too much, two handholds—one at each end, will do the trick. 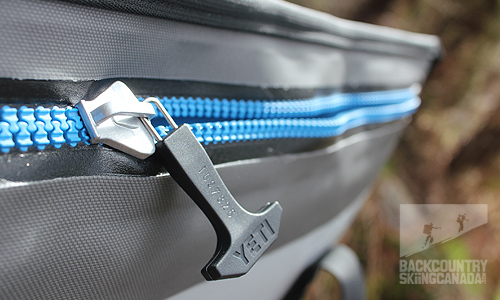 The nylon handle straps have sixteen hitch points for attaching carabineers, bottle openers, key chains, etc. Even further down, near the bottom of the cooler are four more attachment points (two a side), this time made of more rugged plastic for securing it to your pleasure craft. There are a number of different handles for easy transport at your convenience. The shoulder strap is detachable if unwanted, but very comfortable with anti slip grip on one side. Double stitch-reinforced handles are just one way the Hopper is built to last. 4 tie down anchor points at the base. Detachable, shoulder strap with grip with 2 addition anchor points. 3 sets of reinforced handles. 4 anchor points near that base of the Hopper allow for a tie down option on your pleasure craft. 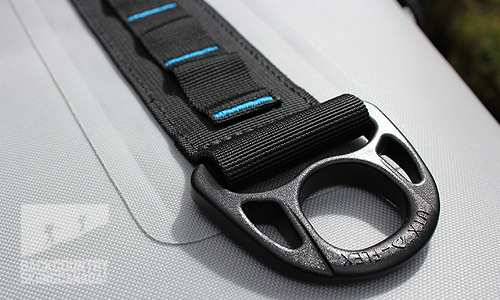 The loops above provide an attachment point for carabineers and other accessories. The footprint on the Hopper Two 30 is relatively small for the amount it can carry. 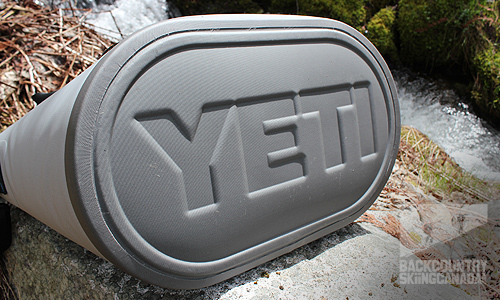 It’s tough construction makes it durable enough to handle any conditions you throw at it. When I first saw the Hopper Two 30 I was impressed by its durability. I immediately thought this cooler was used for transporting vital human organs down class five rapids to a desperate patient awaiting below. 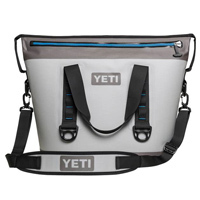 But that’s what you get from Yeti; better coolers for better adventures with “ice for days”. 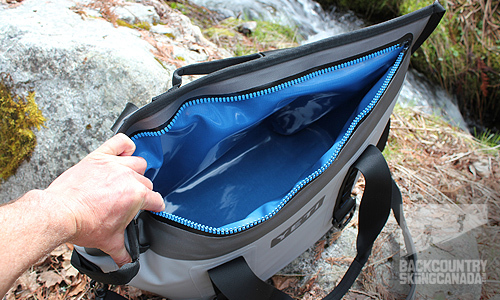 The zipper is rugged and waterproof and completely seals the cooler. It is definitely a two-handed procedure so you’ll have to put your beer down before grabbing another unless it is securely tied to your boat or other pleasure crafts using the tie down points. The outer shell is puncture and UV resistant and is backed up with double stitched handles for a durability you can count on. I like the 16 attachment points for items I don’t want inside the cooler, but need close by. There are a variety of ways to carry the cooler, depending on what’s inside, and it has a relatively small footprint for what you can pack in it. 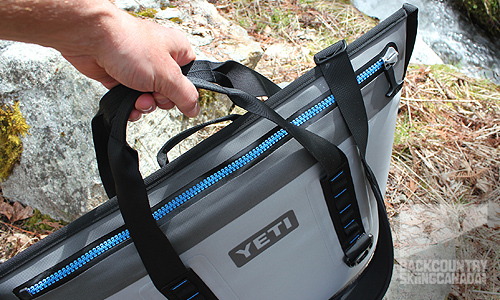 The Yeti Two 30 fits in places that a full sized cooler can’t. Of course, Yeti coolers are high end, quality coolers, designed and constructed with only the best in mind and that comes with a high price tag. Retailing for around $500, consider this cooler a long term investment. Soft walls and small footprint enable it to fit where other coolers cant. Keeps items colder for longer. Lots of handles and ways to carry it. Access to the interior is limited with the side zip.